»Wildlife Excursion To Bandipur From Bangalore! Wildlife Excursion To Bandipur From Bangalore! Bandipur National Park, South India's most popular wildlife reserve, was established in the year 1974, under Project Tiger. Apart from tigers, Bandipur is home to a large number of wildlife as well as plant species, in its dry deciduous forest. A long time ago, Bandipur was a private hunting reserve of Maharaja of Mysore. Bandipur houses a number of endangered animal species such as Indian elephants, tigers, Indian rock pythons, gaurs, etc. ; plant species such as teak, rosewood, sandalwood and more! It is also home to a wide range of birds, all in all, making it the perfect getaway into the nature. The best time to visit Bandipur is between October to May, when the weather is pleasantly cool. Charges: Rs. 300 (per person) for Indian Nationals and Rs. 1100 (per person) for Foreign Nationals. Timings: The Safari is held only during two times of the day, i.e, 6.30 am to 8.30 am during the morning and 3.30 pm to 5.30 pm during the evening. Here are the places to visit on the way. Bidadi is a town situated on the outskirts of Bangalore. The city's two most favourite places are found in Bidadi. Innovative Film City and Wonderla Amusement Park, Bangalore's all-time favourite getaways lie about 40 km from Bangalore. Bidadi is also famous for its thatte idlys, which must be tried. Apart from trekking and rock-climbing, Ramanagar is also famous for bird-watching. The lesser-explored hills of Ramanagar, i.e, Revanasideshwara hill and Handigundi, are home to endangered bird species such as Long-billed Vultures, Yellow-throated Bulbuls, and Egyptian Vultures. Apart from birds, Ramanagar is home to numerous sloth bears. Located 60 km from Bangalore, Channapatna is famous for being the toy-town of Karnataka. The craftsmanship in making smooth, wooden toys is unique, and is a style that belongs only to the artisans of this town. The town also has a number of temples that can be visited. 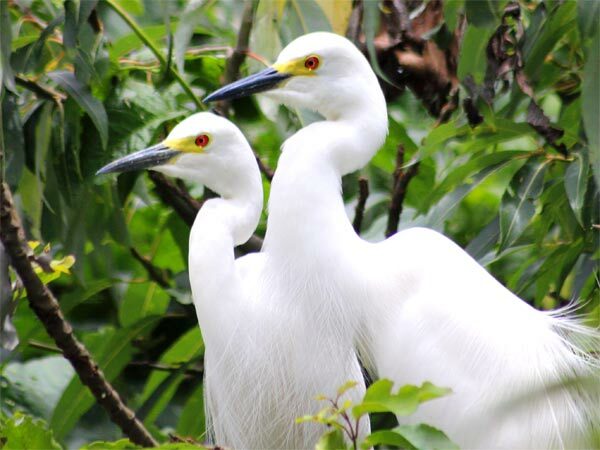 Ranganathittu Bird Sanctuary is located 70 km from Channapatna and is the largest bird sanctuary of Karnataka. It houses roughly 170 different kinds of birds such as Painted Stork, Asian Openbill Stork, Common Spoonbill, Black-Headed Ibis, etc. The best time to visit the Ranganathittu is from mid-December onwards because, in certain seasons, almost 40,000 birds migrate to this place, with some birds of Siberia and Latin America as well! Built across the river Kaveri, Krishna Raja Sagara, popularly known as KRS Dam, is a popular tourist destination. The dam provides drinking water to Mandya, Bangalore and Mysore. Nearby, Brindavan Gardens is a beautiful botanical park, with a musical fountain at the centre. Boating is also available in a lake that's situated in the park. Mysore or Mysuru, the Cultural Capital of Karnataka, is well-known for the art and culture contributed by the Wodeyars Dynasty. It is located almost 150 km from Bangalore. Apart from the famous Mysore Palace, there are a number of places to visit such as St. Philomena's Cathedral, Mysore Zoo, Chamundi Hills and Lalita Mahal. Look out for street murals created during the Wodeyars' era. Read further to know about places to visit around Bandipur National Park. Situated around 80 km from Mysore, Bandipur National Park is a serene national park, surrounded by mountain rangesof the Western Ghats. Several package tours are available from Bangalore to Bandipur. The place is well-maintained with accommodation and reservation facilities. Animals such as gaurs, four-horned antelopes, wild boar and more, live in this park. Birds like jungle fowls, drongos and green pigeons are also found here. Himavad Gopalaswamy hills located in the core of Bandipur, has the altitude of 1450 m. The summit of these hills is covered by dense fog all through the year, which is why it is called "Himavad" (foggy). Sometimes, wild elephants are also seen grazingon the hills. Gopalaswamy Temple dedicated to Lord Krishna, is located on the top of the hills. Private vehicles cannot go to the top anymore, however, KSRTC buses are available for a small fare of Rs. 40, to go up and down the hill. Mudumalai National Park is adjacent to Bandipur, situated on the Northwest of Nilgiri Hills. Mudumalai, along with Bandipur, together forms India's biggest biosphere known as the "Nilgiri Biosphere Reserve". It has also been declared as a Tiger Reserve, but houses many other animals such as Elephants, Bengal Tiger, Indian Leopard, Golden Jackal, etc. One of the ranges here, Masinagudi, is popular for having night safaris in open jeeps. There are expert services that provide this kind of safari.